Nights are not always as dry and clear as you would like. Optical surfaces will often fog up at night. And once your optics - eyepieces, lenses or Schmidt corrector plates - have fogged up, then your observing is over for the night. But this can be avoided. 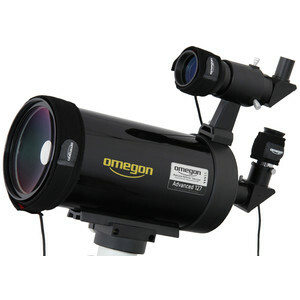 Omegon heating strips keep off the dew and guarantee you super clear observing - all night long. 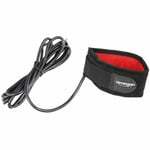 heating strips stop your telescope, finder and eyepieces from fogging up. Highly practical - at the beginning of your observing session, simply wrap the heating strip around the OTA or your eyepiece. The strip fits like a glove and can be fixed in place using the adhesive strap fastener. After you are finished observing, just stow it back in the eyepiece case. Your telescope heater for ensuring your optics remain fog-free will hence always be handy. 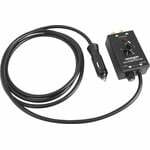 Connect the one metre cinch plug cable to a suitable power source. A 12V DC supply distributes the energy evenly to the strip, at only 0.2 watts per centimetre. This means the heating strip maintains the temperature effectively a few degrees above the outside temperature, so dew now has no chance to form. Also, it only needs minimal energy and is therefore gentle on your battery. The heating strip can be connected to a pulse controller, allowing it to be operated in a power-saving mode. Tip: We recommend the Omegon control unit for your dew heaters. 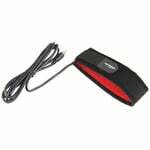 This allows you to connect up to two heating strips at the same time and individually adjust the power to each one. Why do your optics fog-up? The effect of dew on an optical surface is well known to every spectacle wearer who has come into a warm room from cold conditions outside - a fine mist of water droplets forms on the spectacles as the warm air condenses onto the cold glass surfaces. Exactly the same happens on the lenses of your telescope optics. As your optics cool down, water condenses onto the surface. Then it's time to free your view! 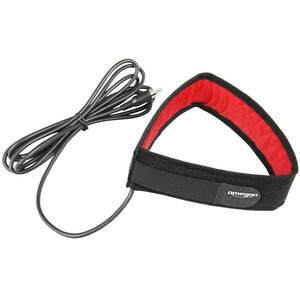 Omegon heating strips offer you longer, and more pleasurable, observing sessions. When other astronomers have already packed up their telescopes and left, you can stay observing for as long as you want! Entirely practical - at the beginning of your observing session, simply wrap the heating strip around the OTA or your eyepiece. The strip can be put on like a glove and fixed in place with its adhesive strap fastener. After observing, simply stow it back in your eyepiece case. 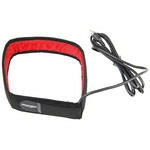 Your telescope heater for ensuring that you always have a clear view. 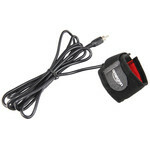 Simply connect to a suitable power source using the lead with the Cinch/RCA plug supplied. A 12V DC supply evenly distributes the energy to the strip at just 0.2 Watts per centimetre. The heating strip effectively keeps the temperature just a few degrees above the ambient temperature, just enough to ensure that dew no longer has a chance to form. It also uses minimal energy, hence sparing your battery. 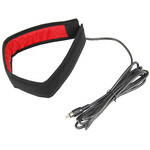 The heating cable can also be connected to a pulse controller to save energy. Tip - we recommend using the Omegon controller as an accessory for dew shield heating. This allows you to connect two heating cables at once and adjust the power to them individually. Anyone who wears glasses knows from personal experience exactly what effect dew has on an optical surface. A sudden fine mist of water forms on your spectacles when you come into a warm room out of the cold - the warm air condenses onto the cold glass surface. Exactly the same thing happens on the surfaces of your telescope optics. When your optics cool down, condensed water settles onto its surfaces - time to clear the view! Omegon strip heaters provide you with longer observing sessions. And, when other stargazers are giving up and packing up their telescopes, you can continue observing for just as long as you want! A wide selection - Omegon heating strips are not only available for telescopes, but also for finders and eyepieces - so all the critical optical parts will remain clear and will not fog up.